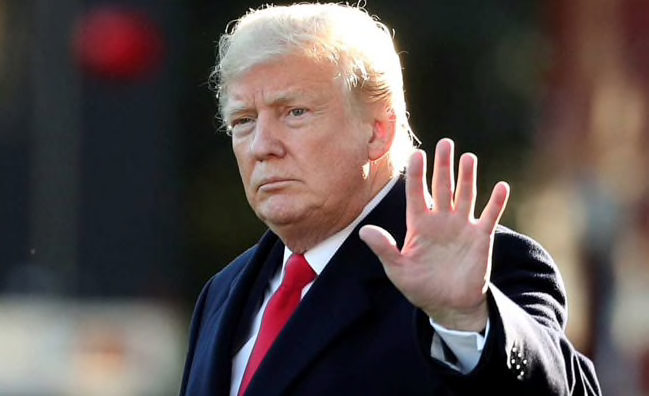 President Donald Trump wants to end birthright citizenship in the US. This day, the American president Donald Trump has promised, in an interview for CNN to end the birthright citizenship, the process which makes every baby born in the US an American citizen, even though his parents are not. Trump said he could apply this new rule with the executive order to be more strict and to hold sway over immigration, claiming that the USA is “the only country in the world who has this right”. This could be the proof that Mr President needs to widen his view. Actually, many countries own the “jus soli”, (birthright in latin,) such as Brazil, Canada, and many European countries. Moreover, this is an affront regarding the US constitution, which amended the jus soli 150 years ago. This latest decision has created a big outcry, perceived as a reflect of the President’s reductive policy. Indeed, the president and his family is known for his many controversial mediated apparitions and speeches, as his terms used to talk about the Salvador in January, or even about women. Six days before the midterms, the Republican Party is still tightening the vice about a conservative policy. Meanwhile, the atmosphere in other countries in the world is similar. With the election of Jair Bolsonaro in Brazil, the increasing power of Matteo Salviniin Italy or Viktor Orban in Hungry, extreme parties are taking over the power. The United States called for a ceasefire between Saudi Arabia and the Yemeni Houthis today. Indeed, the war lead by prince Mohamed Ben Salman is killing people equally by bombs but also by famine due to an embargo. The American Secretary of State, Mike Pompeo strongly prompted Saudi Arabia and its coalition to end airstrikes and accept the truce to let humanitarian associations do their work. United States is also putting pressure by threatening by cancelling its aids provided to the Saudi-led coalition. The situation in Yemen is considered as the world’s worst humanitarian crisis nowadays with an estimate of 14 million people starving to death. It is the recent death of the Saudi journalist Jamal Khashoggi that brought attention to Saudi Arabia and its ethics. The war started when Houthis, regarded as rebels, took control of the west of Yemen in 2015 during the mandate of the new post revolutionary president, Abdrabbuh Mansour Hadi. Saudi Arabia, which saw a dangerous proximity of Houthis with Iran, that is to say its worst enemy, decided to intervene in Yemen, with support of the United States, the United Kingdom and France. The Houthis on the other hand never accepted any demands of withdrawal nor negotiation, finding their uprising legitimate. The homemade bomb holder has been killed and three persons have been hurt during the blast. A terrorist investigation is open. The attack, which took place on Wednesday 31st October at 8:52 am (local time) in an office of Russia’s FSB federal security service in the north-western city of Arkhangelsk, hurt three FSB employees, the Investigative Committee said in a statement. A 17-year-old teenager has already been identified as Mikhail Zhlobitsky, a student in a local technical college. According to a message allegedly posted on social media just before the blast, the teenager would be described as a communist anarchist by Russia’s top investigator, Alexander Bastrykin. He apparently decided to act because he said the FSB was “fabricating cases and torturing people”. The teenager’s motive and other details aren’t established yet by the investigators. Witnesses say the teenager entered the building and pulled out of his bag an “unidentified object that exploded in his hands”. Russian BBC interviewed his grandmother, who can’t explain why he blowed himself up. “He doesn’t drink or smoke, and he doesn’t swear. He doesn’t play truant – he always attends college. I’ve no idea what happened,” she said. Several similar attacks have occurred in Russia this year. According to Reuters, an 18-year-old student killed “randomly shooting fellow pupils” at a college in the Black Sea region of Crimea last month. The tempest Adrian hit Corsica, causing several damages, during the night from Monday to Tuesday. The brutal wind generated a chaos in the island. Ports were ravaged by the wind power and a 70 year-old man was injured with a piece of a portal that was taken by the wind. The tempest and the storm has caused trouble to the electric network. In fact, more than 25.000 households were deprived of electricity. With the help and the mobilisation of EDF’s agents (the first supplier of electricity in France), about 97% of the households were supplied again. Today 720 households are still without electricity. The coasts were really hurt by Adrian, as the waves sinked about ten boats which put in danger the fishermen. The harm is too important for the fishermen who need their boats to earn their life. To them, this is a tragedy because their insurance won’t take care of the damages. Adrian also caused natural damages, as several beaches got bereft of their famous pebbles. The pebbles were all recovered with sand, removing the beaches’ identity. It is not the first time that the island is touched by a similar catastrophe. In March 2017, an equivalent occurence happened to the beaches, but the sand quickly disappeared from the pebbles. Adrian collapsed in Corsica and is still causing problems to its inhabitants who are searching for help. This disaster arrives a year after a similar one in Corsica. Brazilian crack Neymar could face up to six years in prison as court reexamines his transfer from boyhood club Santos to Barcelona in early June 2013. Last year, the 26-year-old Paris-Saint-Germain superstar was ordered to stand trial in Spanish court for fraud over his switch from Brazil in 2013 after growing up from the young teams of Santos to the pro. Neymar was previously fined €1m for tax evasion because of a fraud which involved his image-rights company. According to their sources, Barcelona newspaper La Vanguardia, reported Neymar’s sentence could be anything from four to six years if he was found guilty. Fresh reports also suggest the national court has decided to refer to the Criminal Chamber in front of three magistrates. The move has been the subject of an investigation since January 2014, with Barcelona and president Josep Maria Bartomeu being charged with tax fraud. Bartomeu later revealed the Blaugranes had actually paid €86.2m for Neymar instead of the €17.1m originally claimed for the world football rising star. It was then revealed that Barca had already agreed to pay him €40m, leading to the resignation of former President Sandro Rosell. Despite the fact Bartolomeu was only vice president at the time, his appeal was rejected last year and he will also stand trial. Big Surprise yesterday in French League cup. 2 months after its beginning of the cup, the League cup starts again with 2 opening matches of the 16th of final yesterday. For this play off stage it is Montpellier which received Nantes as well as Strasbourg who welcomed Lille. At the general surprise it’s the 2 outsiders who won. Nantes won against Montpellier, unbeaten during 9 matches in the championship. The men of Vahid Halilhodžic are in a good state of shape by winning their third victory in a row, beating Montpellier 3-0 at home. On the other side, Strasbourg brings down the very attractive LOSC (Lille) team who seems invicible since the start of the season. Now they have to reconcentrate and prepare the very important match between the leader of the championship, Paris, and their runner up, LOSC. 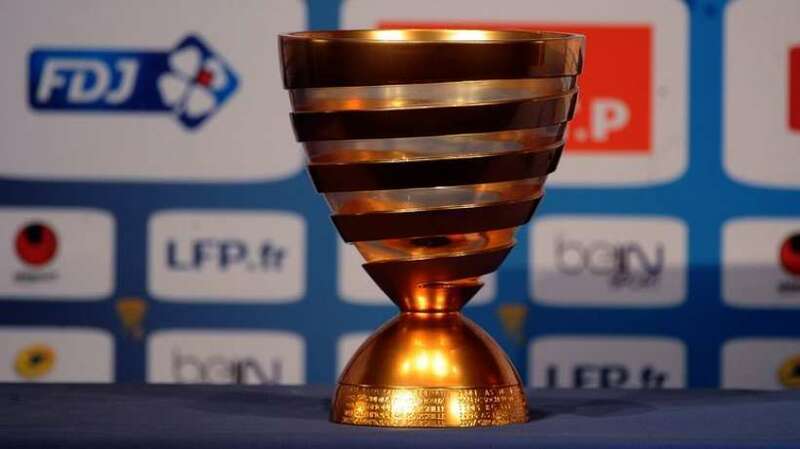 The League Cup continues tonight with Reims, Nice and Saint Etienne especially. Smokers, are you ready for another edition of the no tobacco month ? The annual operation « Mois sans tabac » launched in 2016 allows a large number of smokers to increase by 50% their chances of stopping their tobacco consumption. The month of November 2018 is already an occasion or an opportunity for families and friends to encourage smokers to hopefully quit permanently. Initiated by the French Ministry of Health, this operation is a public health deal which consists of encouraging and supporting all smokers helped by a local communication campaign and numbers of preventing actions to quit smoking in the 30 days of November. Why launching this large operation in France? It’s because smoking-related deaths are increasingly alarming. In 2018, more than one out of three French residents still smoke including a large proportion of young people between 15 – 30. Therefore, a collective approach really improves the chances of stopping. The most important thing is to start on November 1st. Each registration goes along with a kit sent by ‘Tabac info service’ or delivered in a pharmacy. In 2017, one million fewer smokers were registered compared to the previous year, which represents a real victory for the French government. For more informations about the campaign, smokers are invited to consult the site www.tabac-info-service.fr or to call the free line 39 89. This entry was posted in FRANCE and tagged Health, november, tobacco.